Who didn’t see this coming? For what’s felt like the entire college football season, Notre Dame had the air of championship pretenders, despite running the table through their hand-picked schedule. In Saturday’s first College Football Playoff semi-final, Clemson put any doubt about that assumption to rest, shaking off a slow start to wallop the Irish 30-3. Notre Dame could not get anything going on either side of the ball. QB Ian Book was off-rhythm with his receivers throughout, while the ground game did not get established against Clemson’s 3rd-ranked rushing defense. 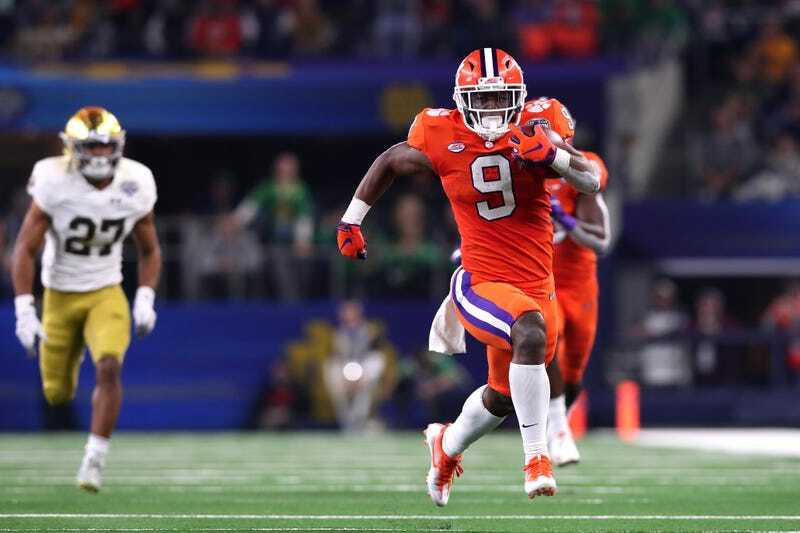 On the other side of the ball, Clemson’s star-studded offense made mincemeat of an Irish defense that could not contain the passing game or running back Travis Etienne. True freshman Tigers quarterback Trevor Lawrence spent the entire game getting lauded by ESPN’s commentators, and for once it didn’t feel like blowing smoke: the 19-year-old finished with 327 yards and three touchdowns for the game. Maybe things would have turned out differently for Notre Dame if an early fumble call hadn’t been reversed due to the football just barely touching the sideline. The score was 3-3 at the time, and Notre Dame would have gotten the ball on the Clemson 10-yard line. Instead, Clemson kept possession, and though they did not score on that ensuing drive, they would eventually take a 9-3 lead, one that they would not relinquish for the rest of the game. Now, Clemson will, once again, head to the National Championship game, the school’s third in four years. The Tigers will play either Oklahoma or, for also the third time in four years, Alabama. Led by Lawrence and Higgins on offense, Clemson feels like the last remaining obstacle standing in the way of an Alabama national title. Whether that ends up being the case on January 7th remains to be seen, but for one game, Clemson did the work that a good portion of college football observers have been trying to do all year: they made Notre Dame look as pedestrian as we all believed they would be.